In the movie Hidden Figures, Marie Jackson must persuade a skeptical judge to allow her to attend night classes at an all-white school. In the process, she gives one of the best sales pitches ever. And it works. By the time she's done, the judge is chuckling to himself while giving her exactly what she wants. Ms. Jackson doesn't talk about herself when the judge reminds her that Virginia is still a segregated state. Instead, she reframes his objections beautifully by making her problem relevant to him. Your Honor, you of all people should understand the importance of being first. This immediately piques the judges curiosity. And it gives Ms. Jackson a chance to reinforce the judge's identity as a man who prides himself on being the first. She does this by describing how he was the first in his family to serve in the Navy and attend university. Ms. Jackson's prep will become important later on when she uses the basic human desire to remain consistent as a way to sell her desired verdict. Ms. Jackson could have tried to convince the judge that the law in Virginia should be different. She could have said, "I deserve to go to this school as much as any other white person." But she doesn't do any of that. Instead, Ms. Jackson builds an emotional bridge between how the judge sees himself and the situation that she finds herself in now. It's a human argument, not a rational one. Notice that even though she's talking about herself here, her argument is really all about the judge. She's making him the main character of this story. In fact, she's offering him the chance to become the hero. No one likes to feel like they are being coerced. We all like to feel in control. So instead of telling the judge what he should do, she allows him to come to his own conclusion. Again, the judges decision here is not being driven by facts. The law is very straightforward on this case. It would be very easy to say "no" to Ms. Jackson and move on. But because Ms. Jackson has already established with the judge that he is someone who prides himself on being a trailblazer, the judge has no choice but to stay consistent with that self-image. And the way to stay consistent is to allow her to attend the all-white school. When you are in a sales situation, the best thing you can do is show the other person how saying yes to you will allow them to stay consistent with how they view themselves. 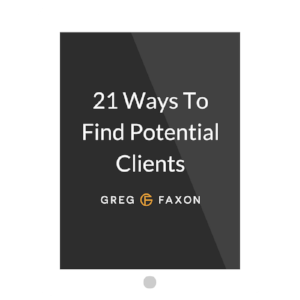 Any time you're speaking to a potential client, you need to be thinking, "How does this person define their life? What's the most important thing to them?" Once you know the answer to that, you can position your investment as an opportunity to reinforce that identity (assuming that it actually does). In other words: if you help someone see that saying "no" will take them further away from the person they want to be, you will make the sale. Note: Mary Jackson didn't actually have to get a court order to attend the all-white high school in real life. But she did have to ask the city of Hampton for an exception. It was granted and in 1958 she became NASA’s first black female engineer.